According to nbcnews.com, a Florida man is currently being investigated for possible animal cruelty charges after he was shot in the wrist… by a puppy. It sounds unbelievable, but apparently it happened, and there are no charges pending against the puppy, and rightfully so. Jerry Allen Bradford set out to shoot seven shepherd mix puppies, because he was unable to find them homes. Apparently, turning the puppies over to the shelter was out of the question. There can be a fee associated with turning animals in to shelters, but Bradford’s actions are not likely to be excused. While Bradford held one of the puppies, the puppy squirmed and its paw hit the trigger. How is that for instant karma? Bradford had already used the revolver to shoot three of the puppies, which were found in a shallow grave after authorities arrived. The other four puppies were unharmed. As a Jacksonville criminal defense lawyer, I immediately began to think about possible defenses in this case if the puppy were to be charged with the shooting. For Mr. Bradford, I’m pretty sure that animal cruelty charges will likely stick, but based on the language found in Florida statute 828.12, there may be arguments to be made in his defense also. 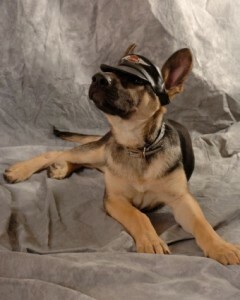 However, the puppy has a better case. Self defense allows a person to respond to force with an appropriate amount of similar force. In this case, deadly force is being used against the puppies. The law will look to the reasonableness of responding to Bradford with deadly force. The shooting in this case undoubtedly will be justified where the puppy has observed Bradford fatally shoot three of his puppy brothers. In this instance, the puppy was reasonably in fear for its life. Self defense law allows a person to come to the defense of others, just as much as it allows for one to protect himself or herself. The puppy from this story managed to save four lives, one of those lives was his own, making him a hero in the eyes of many. If you or a loved have been charged with a crime or are under investigation for any offense, including gun related offenses, the Law Office of David M. Goldman, PLLC can help. We have experienced Jacksonville criminal defense lawyers and Jacksonville gun lawyers on staff ready to put their experience to work for you. Call us today at (904) 685-1200 for a free initial consultation. If you are a gun owner with thoughts of protecting yourself and/or your family, getting a concealed carry permit is an important task for you. 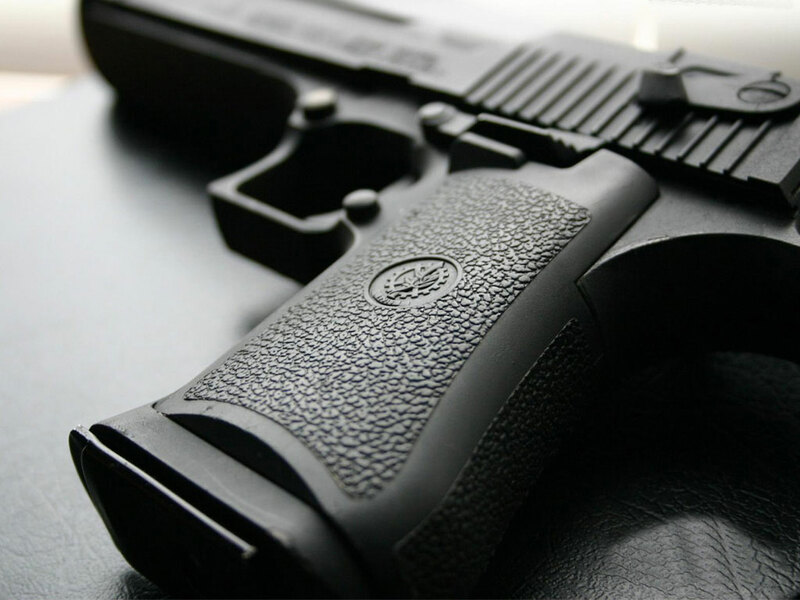 As a Jacksonville criminal defense lawyer and Florida gun rights lawyer, I can tell you that any situation where a gun is involved is one that is likely to be highly scrutinized and taken really seriously. This applies to situations where crimes are committed with guns, especially if there is a shooting. So why does this matter to people that lawfully own guns and use them for good? Well, even shooting your gun in self defense can lead to you being in hot water under some circumstances. Having a concealed carry permit will usually remove some of the questions from the minds of law enforcement when they conduct their investigation. Chapter 776 of Florida’s statutes is called Justifiable Use of Force. This collection of statutes gives guidance to when the use of force, including deadly force is okay. Shooting your gun in self defense will always be deadly force. Deadly force is described as force that is likely to cause great bodily injury or death. After all, the purpose of firing is to eliminate any threat that is present. If some properly, a firearm can help you to eliminate the threat against you and/or your family. Gun owners must be careful in this regard. You are only authorized by law to return the amount of force that is used against you. Shooting a guy during a fist fight at the park will surely land a person in prison. 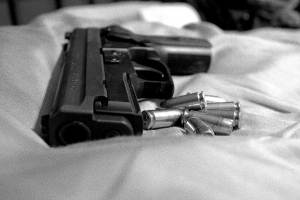 However, the law presumes that deadly force is appropriate in certain situations, for example when a stranger enters your home in the middle of the night without your permission. Chapter 776 of Florida statutes allows you to presume that the would-be burglar is there to cause you great bodily harm. Calling a gun rights lawyer should be the next call made after shooting your gun. You should speak with an attorney prior to providing a statement to police. 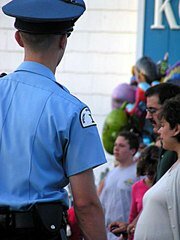 In my experience, this annoys law enforcement a little, but I believe it’s worth protecting your future. 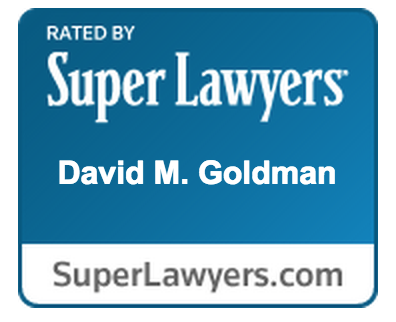 At the Law Office of David M. Goldman, PLLC, we have the necessary experience and knowledge to help in these situations. Call us today at (904) 685-1200 to find out more about your rights and about what should be done in the event of a discharge. Justifiable Use of Force: Self Defense Gone Too Far? 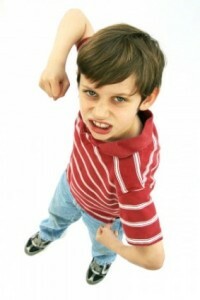 Depending on where and how you grew up, you may have been told as a child or heard someone else told, “If he hits you, hit him back!” My neighborhood back home in southern Georgia happened to be a place where such an attitude was common. This type of advice is where many people are first introduced to the concept of self defense. Florida law, under Chapter 776, contains a group of statutes that define the justifiable use of force, commonly known as self defense. The law doesn’t mention anything about being able to “hit back” if someone hits you. It’s a bit more refined than that. Bouncers at a Florida bar could learn this lesson the hard way. A brawl at a Saint Augustine Bar recently has people questioning whether bouncers went too far in breaking up a fight. After two women began to fight, things were elevated by security at the Conch House in Saint Augustine, Florida. Much of the chaos was caught on video. News4jax.com reported that the bouncers may have even thrown an unconscious person into the water. Florida law allows you to defend yourself, even defend others, but there must be a reasonable amount of force used. Florida Statute 776.012 states: “A person is justified in using or threatening to use force, except deadly force, against another when and to the extent that the person reasonably believes that such conduct is necessary to defend himself or herself or another against the other’s imminent use of unlawful force. A person who uses or threatens to use force in accordance with this subsection does not have a duty to retreat before using or threatening to use such force.” What this means is that you are allowed to use force to stop an ongoing attack against you. Florida law allows a certain amount of force to be used in protecting your property, as well. Exercising your Florida gun rights can turn into “gun wrongs”, if you don’t know what to do and what not to do. Last week I received a call from South Florida. On the other end was a panicked young concealed carry permit holder; we’ll call him “Eric”, which isn’t his real name for obvious confidentiality reasons. Eric had been arrested for pulling his gun to stave off a would-be road rage incident. As Eric drove, there was apparently something about his driving that ticked off another driver. The other driver began to drive erratically, darting in and out of traffic to catch up with Eric. Once the other driver caught up to Eric, the other driver rolled down his own window and began to yell at Eric. Believing things were about to escalate into a bad situation, Eric pulled his gun to encourage the angry driver to back off. Eric was subsequently arrested for Aggravated Assault with a Deadly Weapon, pursuant to Section 784.021, Florida Statutes. In July of 2014, an Arizona homeowner shot and killed one of two intruders who had entered his home in the middle of the night. The homeowner was eighty (80) year old Thomas Greer, who had been assaulted during the home invasion and suffered a broken collar bone, according to ammoland.com. Later, When Greer spoke with reporters regarding the attack and the shooting of the female burglar, Mr. Greer made comments that weren’t the smartest of things to say. In fact, the forensic evidence showed that what Greer told reporters wasn’t even the true about what happened. What Greer told reporters is that the female told him she was pregnant and begged him not to shoot. He said that he shot her in the back as she ran out into his front yard in an attempt to escape. However, the the forensic evidence showed that the female intruder had been shot once in the chest and once in the knee. The evidence also showed that the woman had been shot inside Greer’s home, and later ran outside. The prosecution made its decision not to charge Greer with the shooting death based what the forensic evidence showed, but it could have easily turned into a situation where Greer could have been in need of a criminal defense lawyer himself. Greer’s example comes to us from Arizona, but could have easily taken place anywhere in the State of Florida. 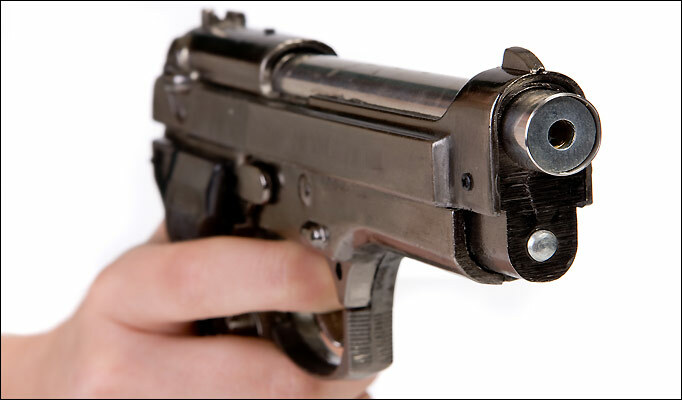 Under Florida law, specifically Florida Statute 776.013, a person is justified in using or threatening to use deadly force when an intruder enters a residence without permission. The law creates a presumption that the person using deadly force in this situation to defend his or home home was reasonable in his or her fear of imminent death or great bodily harm. The issue with Mr. Greer’s statements is that the statements have the ability to chip away at the legal presumption of fear of imminent death or great bodily harm. As a Jacksonville criminal defense attorney, brazen acts committed in front of authority figures are like nails on a chalk board. Perhaps the only things that could be worse for a Jacksonville criminal defense attorney are videos of the offense and confessions. Recently at Jacksonville’s Wolfson High School, 18 year old Chynna Cinnamon Thompson allegedly attacked another student and the Dean of Discipline, Joshua Kristol, when he tried to intervene. According to firstcoastnews.com, both acts took place in front of a school resource officer. Thompson was arrested for misdemeanor battery, as well as, battery on a school employee. Battery occurs when someone intentionally touches or strikes another person against the person’s will or intentionally causes bodily harm to another person. Battery is typically a 1st degree misdemeanor, but under Florida law, when certain classes of people become victims of a battery, the offense is automatically reclassified as a felony. In the case of a school board employee, as we have here, the battery is reclassified a 3rd degree felony. Felony offenses, by definition, are offenses where a person can be imprisoned for more than one year. 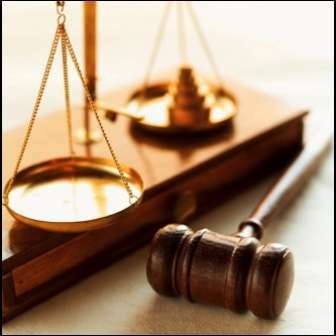 In these cases, hiring an experienced Jacksonville criminal defense attorney to defend you or loved one is important. Battery on a school board employee is punishable by up to five years in Florida State Prison, while a simple misdemeanor battery can have a punishment up to one year in jail. This puts Thompson in jeopardy of spending up to six years behind bars. However, based on the limited information available to the public and the apparent lack of any serious injuries in this case, it is unlikely that Thompson will be sent to prison, but the boldness required to launch an attack in font of a school resource officer will most certainly be of great concern to the State Attorney’s Office and the presiding judge.